The headwaters of the Colorado River offers 1st-class whitewater rafting, kayaking, canoeing and trout fishing. Rancho Del Rio is located right on the Colorado River along the Colorado River Headwaters Scenic Byway, and provides river access for all of these activities. While you're enjoying the river, you can take advantage of our vehicle shuttle service - we will safely shuttle your vehicle from where you put in on the Upper Colorado River to where you take out. We have a wide variety of guided rafting trips available, for all levels of experience - ranging from the easiest, family rafting trips to the most extreme whitewater rafting adventures in Gore Canyon, which has the most difficult commercial Class 4 and Class 5 rapids in the state of Colorado! The Upper Colorado River, between Rancho Del Rio and State Bridge, is the best option for families with young children and anyone who wants fun, easy rapids, and beautiful scenery. 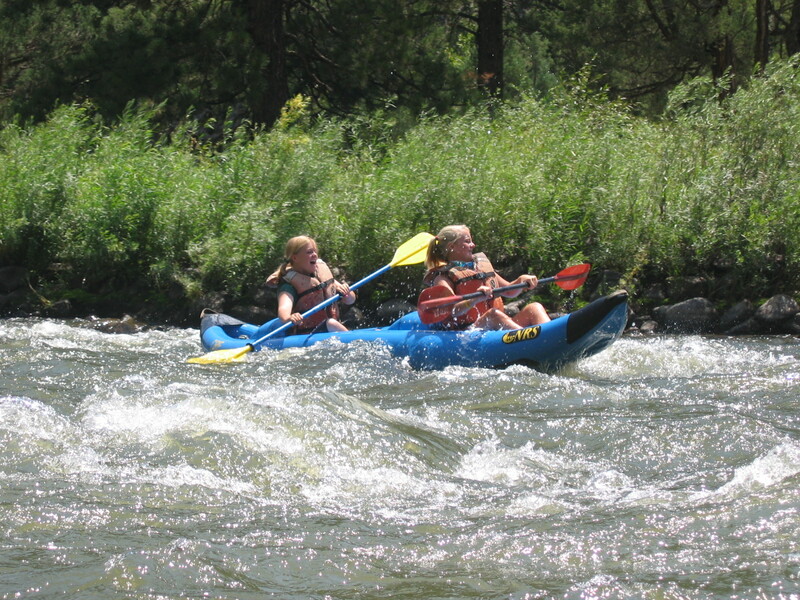 We also offer rafting and kayaking instructions, and we have a river equipment rental center. Everything you'll need to enjoy a day on the river. This stretch of the Upper Colorado River is a premiere trout fishery, and it is one of the best in the state. The predominant species are Rainbow Trout which spawn in the Spring and the big native Browns which spawn in the Fall. There are several hatches of mayflies, caddis and stoneflies offering year-round opportunities for fly fishing. 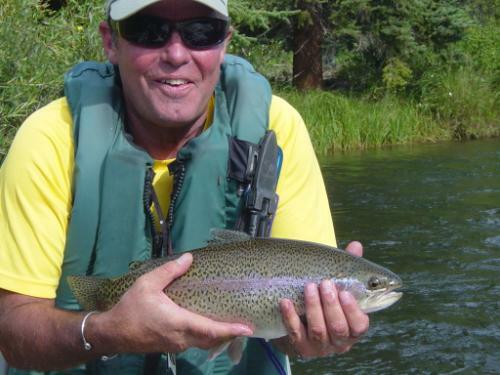 The best way to fish the river is to float it - and Rancho Del Rio can set you up with fishing trips led by experienced local licensed outfitters who know the river very well. 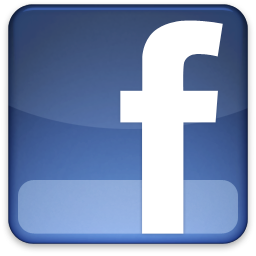 There are a lot of outdoor activities in the area during the Spring and Summer. 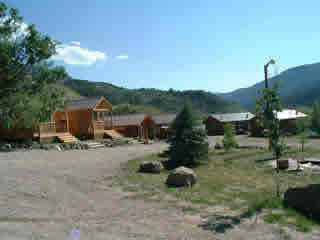 The main attraction, of course, is the Colorado River with whitewater rafting and trout fishing that are second to none. One of the main events each year is the Gore Canyon Race, a whitewater race on Class V rapids. There are a lot of hiking and mountain biking trails as well. Other attractions in the area include Rocky Mountain National Park and the Arapaho National Recreation Area. Things don't slow down in the Fall and Winter either. Rancho Del Rio is very convenient to many of the area's finest ski resorts. You can also enjoy cross-county skiing and snowshoeing. 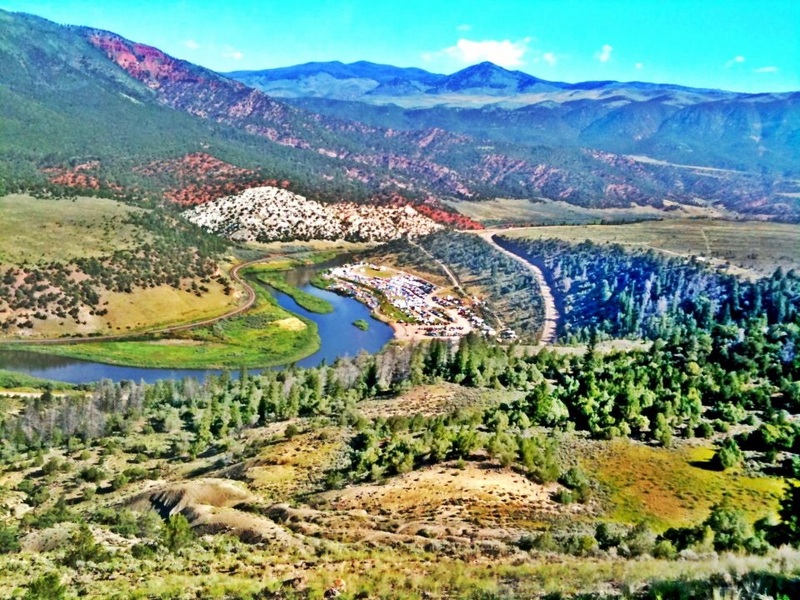 Located in the Rocky Mountains on the headwaters of the Colorado River, Rancho Del Rio is only 40 minutes from Vail and 1 hour from Steamboat Springs and Winter Park. 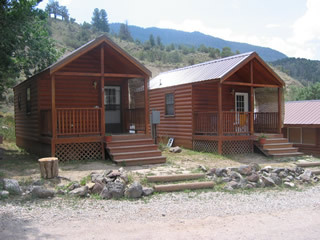 Rancho has rental cabins available on a nightly, weekly or monthly basis, as well as a campground with more than 20 acres of camping for individuals or large groups. Our services include: vehicle shuttles for river users, a convenience store with gasoline, an outdoor bar and restaurant featuring KK's 'World Famous BBQ', and a liquor store.